The top photo is one of my favorite and most Googled (Google “Harpy Eagle Flight” and you will get to the image). It has been viewed 4,344 times. 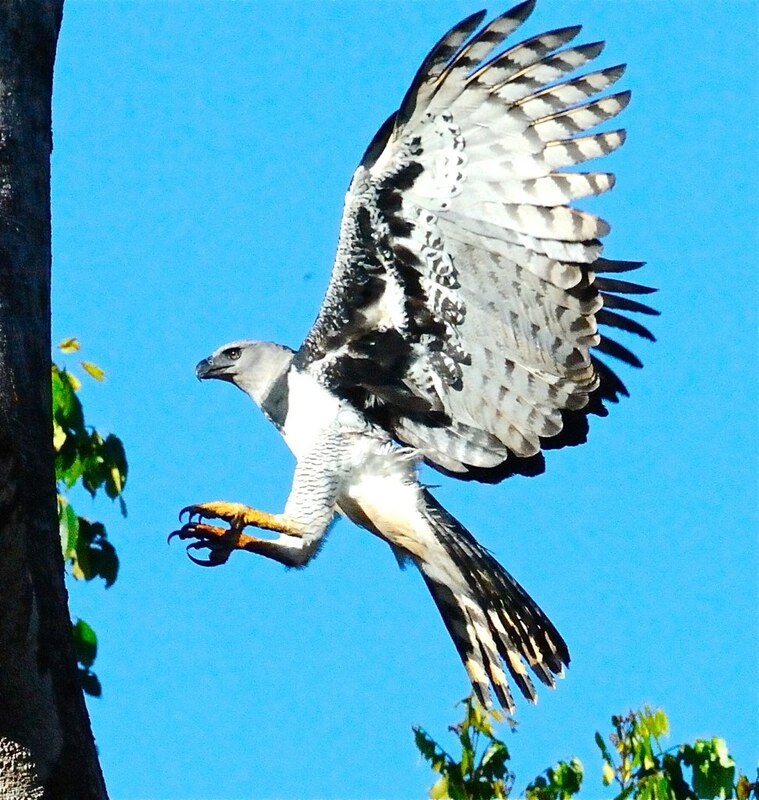 A Harpy Eagle is the second largest eagle in the world and eats mainly mammals in the Amazonian forests. This male had just dropped a meal of fresh possum to the chick below. 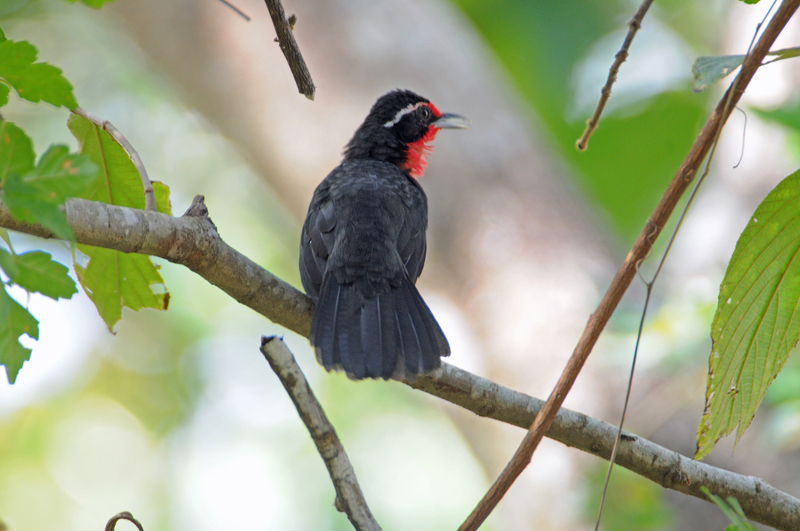 What is missing is the sound of the Capuchin monkeys going crazy whenever they see this bird. It is an amazing bird and a great capture. The second, at 702 views is the elusive Rufous Vented Ground Cuckoo photographed in El Valle, Panama. The cuckoo usually follows the ant swarms picking off insects that the swarm displaces. 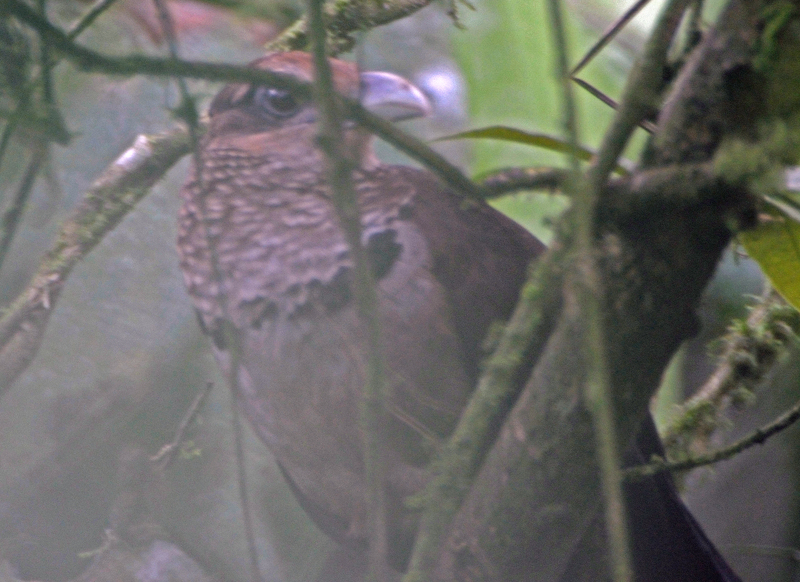 It is a secretive bird and was very difficult to photograph through the dense vegetation. 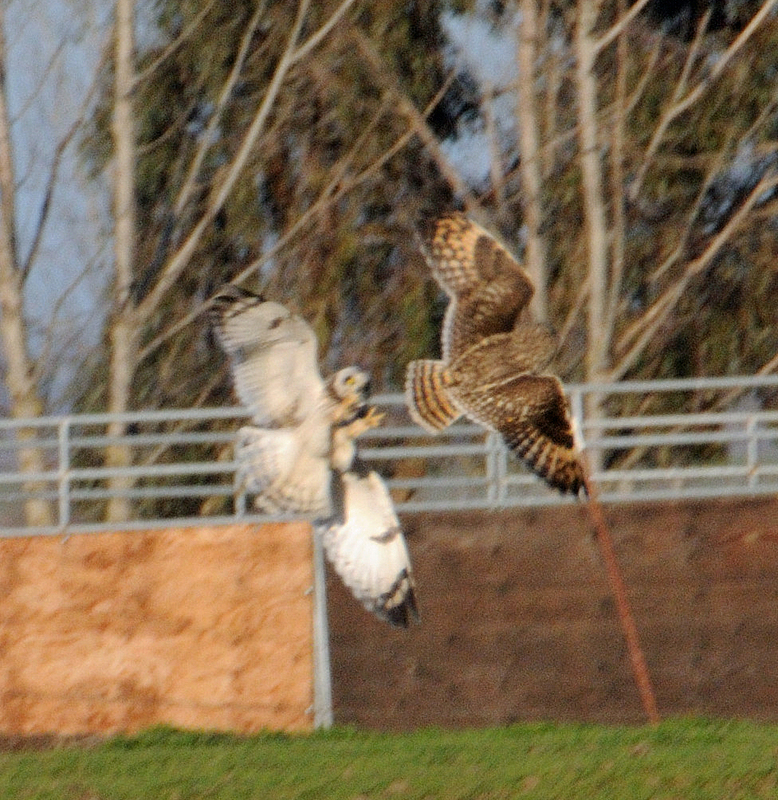 The third photo, at 493views, is of two short eared owls fighting in a field in Davis, California. Again, not best photo. However, you do get a sense of the underlying violence. 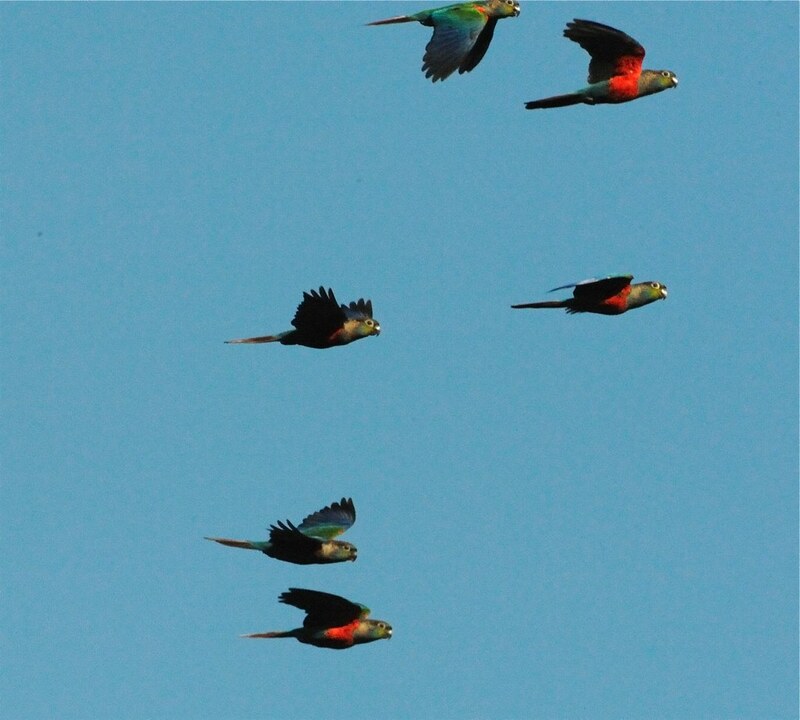 The fourth most viewed photo is of a noisy flock of Crimson-bellied parakeets (477 views) photographed from a canoe as they flew across the Amazon river . And the fifth, at 451 views, is of the Rosy-thrush Tanager also photographed in El Valle, Panama. This entry was tagged nature, Photography. Bookmark the permalink.